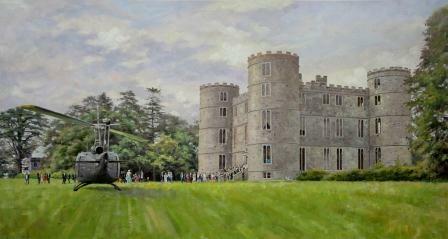 Commission a portrait of your home! 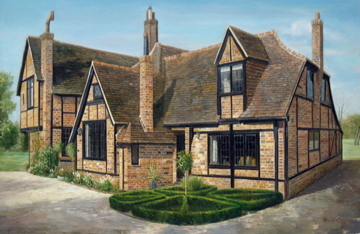 Beautiful house portraits painted by professional artists. A painting of your home either painted with oils or even a small water colour makes a wonderful family heirloom. It's a good way to commemorate the purchase of your first home and also a way to keep a personal record of the homes that have become part of your life. Simply supply Dubai Art with a good quality photo or two of your house exterior and our professional artists will create an original oil portrait full of character and charm that you'll want to treasure forever. Have You Seen our New House Portrait Portfolio? You can choose to have your home commissioned in a size of your choosing and in any medium (oils, watercolour, pencil, pen and ink). All our oil portraits are lovingly hand-painted with premium Winsor & Newton oils onto a fine linen canvas. "Looks fantastic, just what I had in mind!! You've done a great job for us and I will be sure to recommend you to our friends. Great service!! Many thanks."